Travis Scott will be performing at the Montreal Bell Centre on Tuesday, March 5th, 2019. The rapper from Houston, USA, will present his Astroworld tour: Wish You Were Here, which will visit a total of 28 cities. 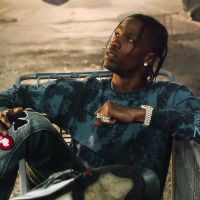 Do not miss the passage of Travis Scott in Montreal and reserve your tickets today with 514-Tickets.com!